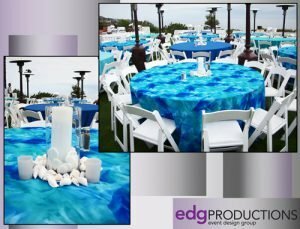 With 25 years of experience specializing in corporate events and meetings, we present to our customers a value they can not get even using local vendors. Most of our clients take us along each year to their changing locations to make sure they get the level of customer service and value products they have come to depend on. 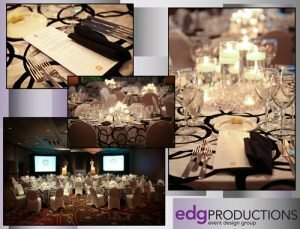 Planning, decor, logistics, signage, floorplans, Fire Marshal permits, venue limitations – we are able to work through all of these common challenges and so much more. 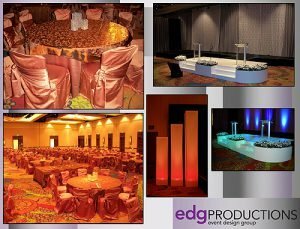 Leave the frustrating work to our experienced team of professional planners. 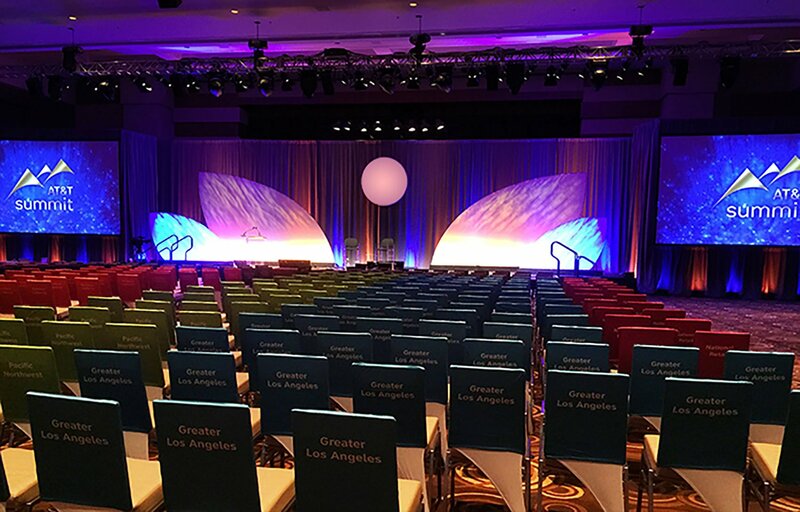 The look and feel of your next event could make the difference between success and failure. 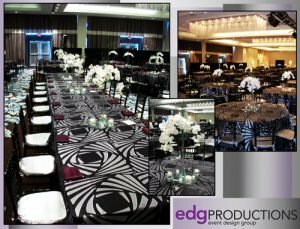 Experience, experience, experience… it is what turns a good event into the memorable, dramatic event that your guests will remember for a long time. 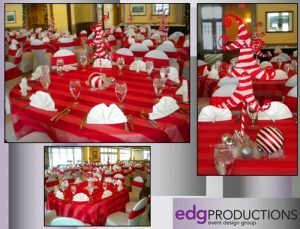 Our team has been working in the industry for years and we have the solutions you are looking for when expectations are high but the budget may not be. 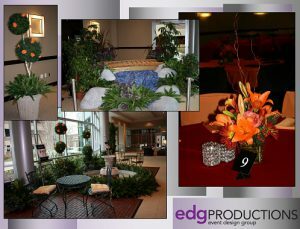 edgPRODUCTIONS continues to grow and learn about all of the new industry trends. 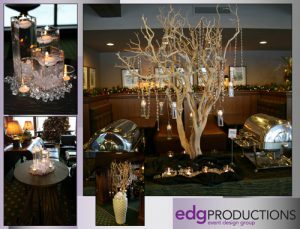 We work with major corporate clients around the country and in North America regularly so we are always comparing our products to the top companies around the world so you are getting the best ideas and products at Midwest pricing. Like to see more? 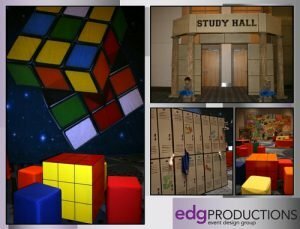 Click here to see our full design gallery! 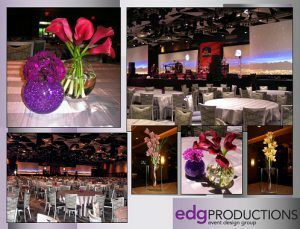 edgPRODUCTIONS has a unique talent that other event companies can’t compete with – our company was started and continues to this day to be owned and managed by a trained and experienced Florist. Nancy Jacobs started out at the age of 17 with her own, small floral business and to this day, understands what it takes to make the next level of quality and design in the floral industry. 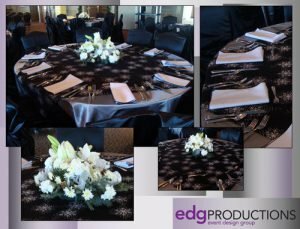 Through the use of only the top farms and growers from around the world, edgPRODUCTIONS cuts out middle men whenever possible and sources only the best quality and best pricing for flowers. It is not unusual for us to source product directly from farms in Holland, Hawaii or South America to bring our customers the best quality product available on the planet. 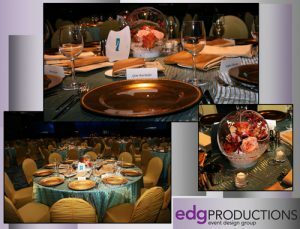 With literally tens of thousands of events and millions of centerpieces under our belts, edgPRODUCTIONS can take your event to the next level. 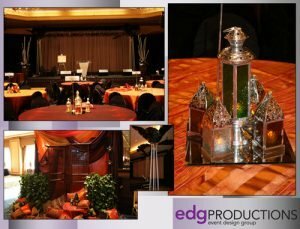 No Event is complete without entertainment. 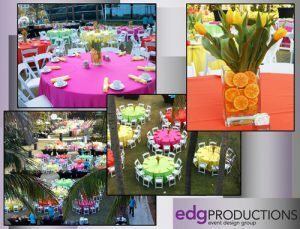 edgPRODUCTIONS uses it’s vast resources to find you the right entertainment for your event at the right price. We are not limited to preferred agents or certain acts. We do the research and footwork to get local, National or International talent that fits perfectly into your program and budget. 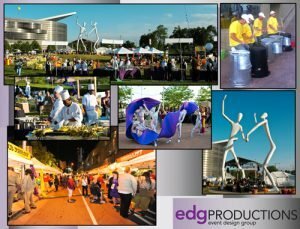 Our Project Management team is always looking for partnerships with event technology providers in order to give our clients the widest range of fun and exciting options using the best technologies available in the industry. 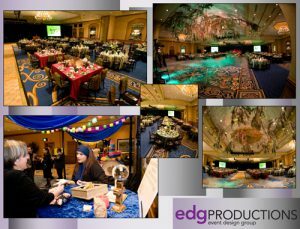 Using advanced projectors and lighting, we can create a dramatic effect that can be seen for miles. 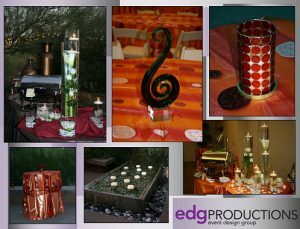 Use a beautiful social display to amaze and entertain your guests. The real-time stream of tweets/images will definitely catch their attention. 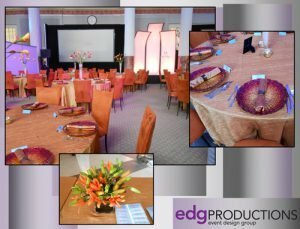 Through the brilliant use of video, projection, motion capture and human/machine interactions, we are able to source a wide variety of products that can be fully customized to your next event. 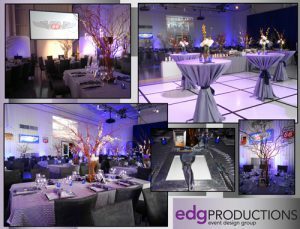 edgPRODUCTIONS strives to provide impactful and effective events with dedication, professionalism, and expertise.